Place sunflower seeds into bowl of processor and blend until f they turn into crumbs.Add dates, vanilla and 1 Tablespoon coconut oil and continue processing until combined. . Press into a 20 x 20 cm dish.In a glass jar place remainder (1/2 cup ) coconut oil, cacao and honey. Place jug into a bowl of boiling of boiling water. Stir until coconut oil melted and mixture is smooth. Alternatively heat in microwave for 30 seconds until meltedStir well and pour over date base. Place in fridge for a couple of hours. Cut into squares and devour. Newly diagnosed with food allergies? This guide has been written by a mum who’s child was diagnosed with over 15 life threatening food allergies. 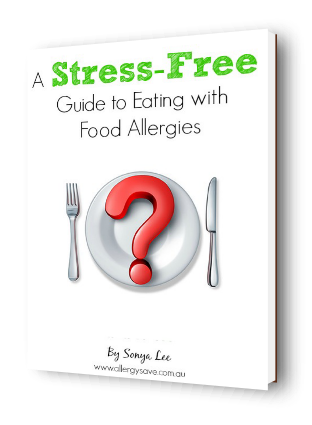 The eBook contains practical hints and tips to help relieve the stress of navigating the world with food allergies safely. Oh yum! We love these. 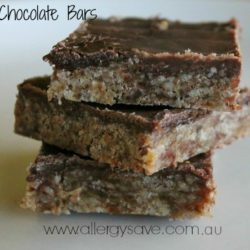 These are so quick and easy to make and they taste fantastic. Will definitely be making these again!! Thank you!! 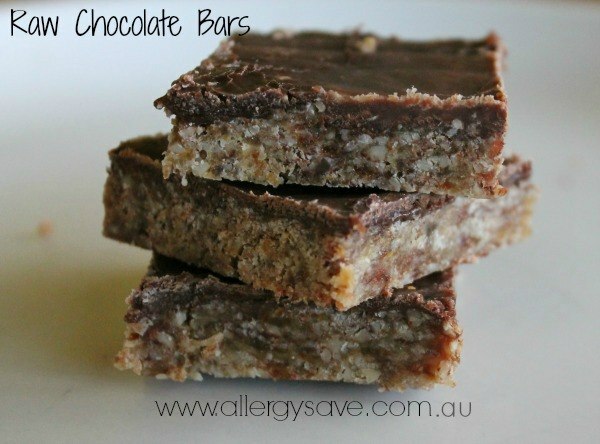 Made with manuka honey and the kids devoured them – thank you – but might try milder honey next time. Added coconut to the base too, yum! Thanks for your feedback Pamela. Manuka Honey would increase the nutritional value but may not be for everyones taste – great that the kids loved them!